BOATS broke their moorings and several businesses were flooded after Mandurah received 48mm of rainfall since midnight. 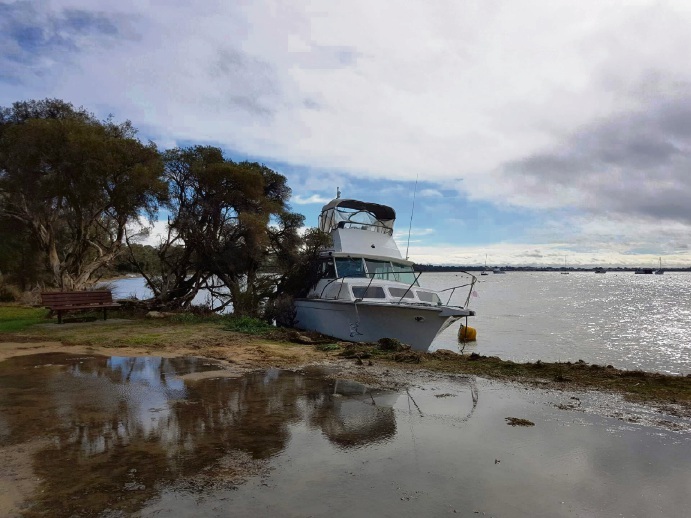 A boat ended up on a Dawesville bank after it broke its mooring and drifted in the Peel Harvey Estuary. Mandurah SES received five calls and eight volunteers worked through the night and this morning. Mandurah SES manager Chris Stickland said it looked like the weather had settled down, but there was a chance of more storm activity tonight. Perth received 60mm to 68mm of rain.